EFHA 2018 conference is approaching. 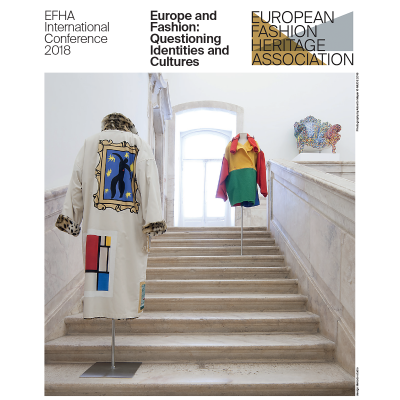 Conceived as an international conference focusing on European sartorial heritage, its collecting and its archiving practices, it will explore and contextualise spaces of cultural interactions, displacement and construction of national and transnational identities in the European landscape. 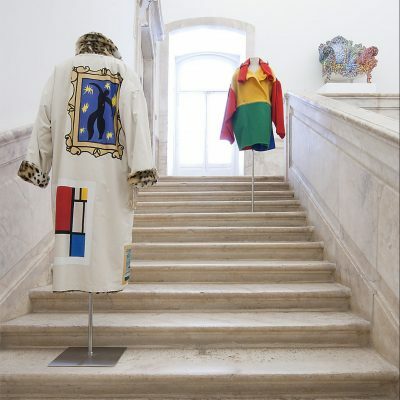 The conference will consist in two days of intriguing and thought-provoking presentations, subdivided into four sections whose tone will be set by four impressive keynote speakers: Valerie Steele, Director and chief curator of the Museum at the Fashion Institute of Technology, NY; Giorgio Riello, Professor of Global History and Culture at the University of Warwick, Miren Arzalluz, Director of Palais Galliera, Musée de la Mode de la Ville de Paris; Javier Gimeno Martinez, Assistant Professor at the Vrije University, Amsterdam. The conference will be held at Musée des Arts Décoratifs, Paris, on 8-9 November 2018. 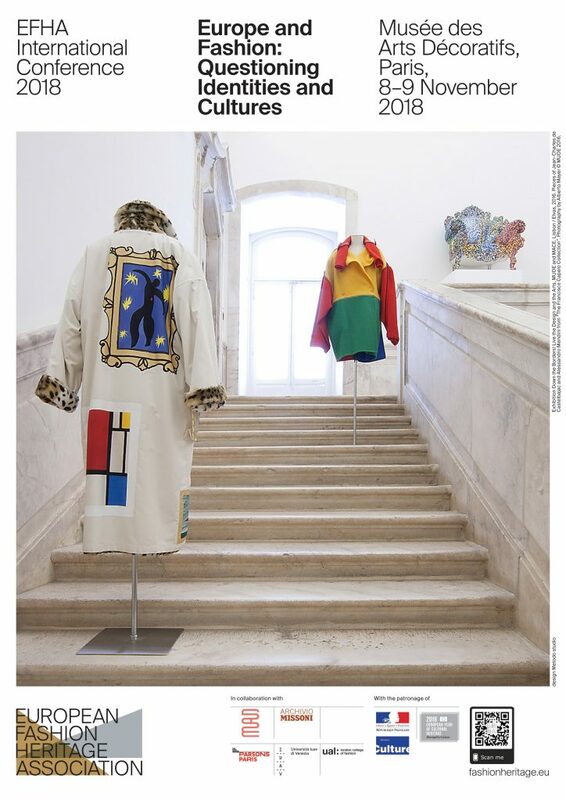 It is organised with the support of Missoni Archive and in collaboration with the Musée des Arts Décoratifs, The New School – Parsons Paris, IUAV University of Venice and London College of Fashion – University of the Arts London, with the patronage of the French Ministry of Culture. The event is listed among the initiatives part of “2018 – European Year for Cultural Heritage”.